Last summer my family stayed with an old friend. We spent a five-week vacation driving around the country, all seven of us, on a Family Farewell Tour, our last summer vacation before our oldest child left for college. The first major destination was an A-frame cabin on the coast of Oregon, some 3,000 miles from our home at the time in Tennessee. 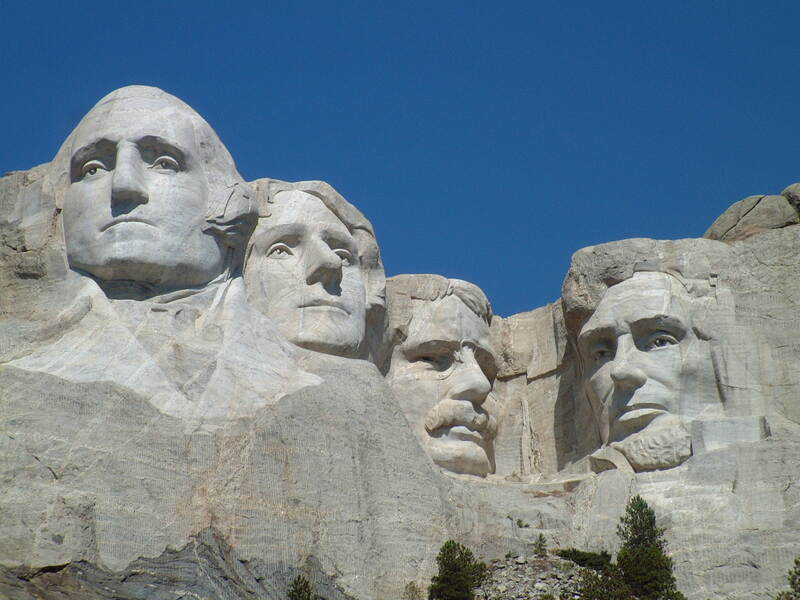 On the way to Oregon, we thought, why not take in Mount Rushmore and Yellowstone? So north was our decided route, with some dates in mind. That’s when Eric got in touch with me. Facebook and Google have some redeeming attributes, turns out. Eric and I had spent a lot of time together in the mid-nineties. We were both directors of youth ministry for local church congregations in the same town. Theologically and practically we agreed on enough stuff and were able to overlook what we didn’t easily enough to make our friendship work on professional and personal levels. And we liked sushi. So we combined our youth ministry activities often. This frequent activities-combining meant, professionally, even more frequent planning sessions for the two of us, bi-weekly more or less, often at our favorite sushi bar in the neighboring town of Thousand Oaks. Personally, I’d been married only a couple of years, with one child and soon two; and Eric was single with a romantic interest from Iowa I’d only heard about but never met. He liked observing my family life as a bystander I think; and for my part I amused myself over his free spirit. In time Eric took a job in Oregon and left. Some years later, I learned, he returned to southern California, now married to his romantic interest from Iowa; but unfortunately by this time I was long gone, maybe in Pennsylvania, maybe in the Mojave Desert, maybe in Texas—I don’t know. Point is, we’d lost touch. Until I was making vacation plans prior to last summer. One day a message appeared randomly on my Facebook page. “Did you used to live in Camarillo?” it asked. I looked at the name and realized who the person was behind this message. “If so,” the message continued, “call me,” followed by his cell number. Fifteen minutes later we’d said our hellos and made plans for me, my wife, and our five kids to visit my old friend, his wife, and their three kids, now living in Iowa, for an overnight stay, on our way to Mount Rushmore, Yellowstone, and the Oregon coast. The visit was stellar. Can you imagine? Two former youth ministers from the Baptist tradition, sitting around with cold beers in hand, barbequing steak, discussing former war stories, to include no small amount of shared head-scratchings over Baptist peculiarities, and otherwise catching each other up on fifteen years of our respective histories! Eric had actually worked for a time in a sushi restaurant and selling high-end cars. My wife watched eagerly as Eric walked us through the sushi making process, from making rice with the correct stickiness and sweetness factors to producing an excellent filling of tuna and cucumbers and other goodies to wrapping and rolling it all in seaweed to cutting it correctly to concocting a dipping sauce with the most agreeable proportions of soy sauce and wasabi. Mmmm, delish! And my oldest daughter looked at me with google eyes as I test drove Eric’s modified Challenger—perhaps a step down in price from the high-end cars he used to sell, but no step down in power. We hit eighty in something like five seconds! But that restaurant and car experience hadn’t suppressed the event-planner in him. There were seven girls between the two families. A sort of organized mayhem characterized most of the night, filled with sushi and steak and beer and sodas and lemonade and games and shrieks of delight. In many ways Eric and I picked up right where we’d left off. But now, too, after fifteen years, there was so much more. Incidentally, as a brief aside, my wife Holly took to making a lot of sushi during our stay in the A-frame on the Oregon coast. We found seaweed at a local shop and bought crab fresh off the dock. Again, mmmm, delish! Anyway, in the past week I’ve been enjoying visits with two other old friends, who have reminded me of Eric. In some ways we’ve picked up right where we left off. In others, however, there has been so much more. The names of these friends are perhaps names you well know, for they are famous: Frederic Chopin and C. S. Lewis. Chopin is an old friend to me because I have played much of his piano music for years. As a boy I was introduced to Fred, in the form of two preludes, numbers 7 and 20 if I recall correctly. They were bears of pieces to learn then, young as I was, my hands only recently grown to reach an octave. But I worked and worked with them until I could perform them reasonably well from memory. Then I was paraded first before parents in a recital and later before a panel of judges in a competition from which I earned an honorable mention. You see then, our friendship started as a purely professional relationship. When I was in college I again spent some time with Chopin professionally, this time assigned by my piano teacher to take on a prelude and a nocturne. But these professional visits became cumbersome. My teacher directed me to play in ways that were uncomfortable for me; and though Chopin remained silent during these lessons I suspected he wasn’t always in agreement with her either—my teacher I mean. But Fred and I bumped into each other by chance outside of these professional meetings. We began to discuss life and soon found that we had a great deal in common—how despite some people’s attempts at reducing complicated structures into simplistic analyses, musical people like Heinrich Schenker and my piano teacher, or philosophical people like Sigmund Freud and Johann Wolfgang von Goethe and Rene Descartes, or political people like Karl Marx and Thomas More, after all attempts at simplicity the stuff worthy of said analyses, like Chopin’s piano works, really remained rather too complex to grasp according to mere scientific facts; and rather had to become known in a relational way that involved the heart, emotion, not just the mind. So his piano pieces might be seen as simply a move from the mediant to the tonic over a hundred and forty measures, as Schenker and my piano teacher maintained; but actually they are so much more, Fred showed me, filled with brilliant dissonances and chromaticisms that resolve so beautifully and resoundingly that they defy rational description. Try to do that, Heinrich! These social visits soon made a huge impact on me. I began to tackle every Chopin piano piece I could reasonably muddle through, meaning his waltzes, nocturnes, and preludes mostly. His mazurkas and etudes proved too complex, requiring both technique and heart I lacked. And thus in time I came to see these as something like religion and politics. We enjoyed each other’s company very much. The areas in which we disagreed, namely religion (etudes) and politics (mazurkas), we mostly never discussed. I say “mostly,” by the way, because I have attempted to master only one etude in the past. I liken it and by extension all his etudes to religion because I am at least interested in that and therefore in hearing what other people have to say about it. As for politics and mazurkas, I either don’t have the patience or simply can’t get them. In the end, with regard to the etude, I had to admit defeat. It bested me. My point in all this is that Fred and I have been visiting socially again after some years of not seeing each other. It wasn’t that either of us was angry with the other, or not on speaking terms; just that we had lost touch, so to speak, like Eric and I had. Well, he dropped in for a visit the other day and for the past couple weeks then I have sat for hours with him, playing through all his preludes, waltzes, and nocturnes. In some ways, like with Preludes 7 and 20 first discussed above, played during my childhood, we’ve picked up right where we left off. But in other ways there is now so much more to our friendship, like with Eric. One nocturne in particular I never really cared for too much in the past; yet now I am finding it strikingly beautiful, like having watched a free spirit of young, single man mature into a loving husband and caring father. 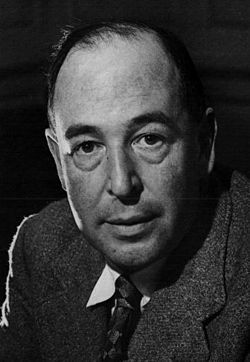 The other old friend that has come for a recent visit is C. S. Lewis. To cut to the chase, I am reading The Chronicles of Narnia again, this time to my son, aloud. The last time through these particular works for me was something like five years ago. I am experiencing the same sensation with Jack (C. S. Lewis’s nickname) as I did with Eric and Fred: in some ways it’s like we’ve picked up on a conversation we shared yesterday; in others it’s like I’m seeing a whole new side of him, something new and fresh to me yet also something I somehow knew was always there: I just happened to be too dense to perceive it before. So it always bothered me in The Last Battle that there was a Calormene that made it into Aslan’s country in the end. That’s because within me I have a very difficult time with universalism. The god of Christians, I maintain, is unequivocally different from Allah, for instance; or from Hindu gods, or from the gods of the Greeks and Romans of old, or from Norse gods, or even from the god of the Jews. Jesus Christ is fully human and fully divine. And there are Persons within this one god we call the Father and the Holy Spirit. So the Christian god is triune. The Jewish god, by contrast, is only one Person. For Hindus there is a plurality of gods. So, to return to Lewis’s story, how could a worshiper of Tash (analogous of Allah) enter Aslan’s country (analogous of the Christian heaven)? What this amounts to is nothing to do whatever with universalism. Rather it amounts to the mercy of a loving and forgiving God. Surely, that’s nothing to be bothered about. The Texas Hill Country is somewhat legendary among motorcyclists. That is why I welcomed the opportunity to ride my moto for a little over an hour today to meet a friend for lunch. I planned a route from San Antonio north and east to San Marcos, gracing Canyon Lake with my V-twin presence, up and over a delightful ridge called Devil’s Backbone by locals (on Purgatory Road no less), then east on an almost traffic-free Hugo Road—smack dab, in other words, through the heart of the Hill Country. All went very well during this the first leg of my journey. The outside temperature was a delightful eighty degrees, just perfect for traveling on two wheels at sixty mph with a mesh jacket so the air flows right through. The trouble began when I met my friend. He had suggested throwing eighteen holes of disc golf before eating lunch, an activity I was entirely amenable to—in theory at least. So I found the course, I found my friend, and I parked my moto, shedding my outer protective layer (helmet, gloves, mesh, and boots). By now the temperature had climbed to something like eighty-five. I was sweating noticeably. I’m of Scandinavian descent. I’ve never been to the fatherland—I hope to visit someday—but that’s beside the point. Rather, I’d like to think that this, my genetics, is why I don’t do well with heat. Never have. Never will. Just a fact of life, I suppose. This not-doing-well-with-heat usually manifests itself in the form of migraines. And that’s what began to happen now, on hole five. Headache. Strong one. Fortunately I came prepared. My twenty-four ounce aluminum water bottle was still mostly full and I had a small bottle of Advil in my possession. Two pills went into my mouth, followed by a generous mouthful of water and a swallow. I was good for another thirteen holes, surely. Sweat be damned. By the time we finished—with a score of twelve over par for me, not too bad for a first attempt—the outside temperature was ninety-two. The headache seemed to be more or less under control. But by now I was soundly drenched. I may as well have jumped into a swimming pool. I’d emptied my twenty-four ounce aluminum water bottle too, by the way, back at hole fifteen. “The Tap Room for lunch?” my friend asked. particular ninety-two was accompanied by a high percentage of humidity, making for a heat index of something like ten degrees warmer still, meaning it actually felt like 102 by now. The short ride then from the disc golf course to the restaurant was not enjoyable, mesh jacket or no. Not to mention the Advil wasn’t really doing too good of a job: now the headache was on the less side of being under control. “Ahhhh,” I groaned audibly as I threw down my outer layer and sat at a table across from my friend. I carelessly interlocked my fingers and rested my hands at the back of my head, necessarily raising my arms in the process. And there I sat, taking it all in, perhaps offending the people in the next booth over but nevertheless content to sit that way for ages if need be, as long as it took to diminish the flow of sweat and ache of head. An hour or so later that heavenly lunch came to an end. I was still sweating slightly, but it was mostly under control. And the headache was mostly gone. So I put on my outer layer and high-tailed it home. It was ninety-seven when I pulled into my driveway. I wish I could say the effects of lunch were still upon me. But nothing doing. The steady stream of sweat was back as drenchingly as ever. My headache was worse than ever too. And I’m sure the pint hadn’t helped. Three more Advil went into my mouth, followed by a large glass of ice water. I then resolved, legendary or not, not to ride my moto through the Hill Country again until the weather cooled, or at least until the heat index wasn’t so high. I have a confession to make: Today’s Gospel bothers me. This passage bothers me because in my heart, at my core, I don’t like division. I come home from a day at the office, tired from mentally wrestling all day with difficult passages like this one, glad to see my family, to kick my shoes off, enjoy a sumptuous dinner and a glass of wine, maybe play a little Wii with the kids, and otherwise relax. But no sooner do I walk through the door than a heated argument breaks out between two of the kids in the other room. Now, abruptly, my plans are forced to change. Now I must make a choice. Do I intervene, engage this argument head on, act as mediator? Or do I stick my fingers in my ears, walk into another room and close the door behind me, and hope that the kids will work it out themselves? Either way—whether I choose to fight or flee—division has dashed my hopes for an evening of peace and tranquility. I’ll say it again: I don’t like division. Since I don’t like division, this weekly confession of my faith got me thinking: Why has there been so much division in the history of the church? I looked up the history of this particular denomination. And—wouldn’t you know?—it was only a few years old! Apparently it had started because a group of Presbyterians convinced themselves that church congregations needed to be independent and autonomous; or, in other words, a group of Presbyterians convinced themselves that Baptist polity was right and true. “Oh,” I said, “I see.” But I didn’t really. At this point I had a choice. Should I engage this argument further? Or should I stick my fingers in my ears, walk into the other room and shut the door behind me, and hope that the kids would work it out themselves? Point is, I wanted to be a part of a church that was much more unified than this—in spite of whatever internal divisions may exist. This pretty much ruled out for me any denomination that began because of the Protestant Reformation. That left, in my thinking, Roman Catholicism, the Anglican tradition, Orthodoxy, and not much else. With four kids (at the time) and a sense of call to the priesthood, that pretty much ruled out Roman Catholicism. And, to be honest, I don’t know much about Orthodoxy. So here I am: an Episcopal priest, in no small part because I desire unity in the church, not division. Yet right here, today, we read that Christ came to bring division. Because of Christ, mother and daughter will be divided. Father and son will be divided. And, I could add, Presbyterian and Baptist will be divided. Brother and sister, vestry member and parishioner, Democrat and Republican, progressive and conservative, Fox News and CNN—will be divided! But I don’t like division! Perhaps you don’t either. What gives? Could this really be Christ’s mission, to bring division to the earth, not peace? So much of what Jesus says and does elsewhere in the Scriptures seems to conflict with this passage! His overarching message has to do with love, after all. And didn’t he model this message by eating with tax collectors and prostitutes, with lepers and outcasts? This was Jesus’s mission, this is why he came: love! John’s Gospel says so: For God so loved the world that he gave his only Son. True then: Jesus’s mission was love. Christ’s mission today is love. The church’s mission has been and will continue to be love. It is a love for humanity; it is a love that forgives and seeks forgiveness in all people; it is a love whose end is to reconcile a fallen universe to God. But why should such a mission—a mission of such radical love—not yield division? Jesus came into the world at a time when religious leaders abided by a very strict set of principles. They would not help a man, for instance, who lay in the gutter half-dead, the victim of a robbery. They would pray long and loud prayers in the streets in order to be heard by crowds and have their names lifted up as spiritual leaders. They would take the places of honor at banquet tables. They would find it morally repulsive to be in the same room with a woman of questionable reputation. They would bribe someone with thirty pieces of silver to betray a close friend. These religious leaders did not know how to interpret the present time. They did not know that Jesus was the Christ, sent by God the Father to reconcile a fallen world. They did not know that Christ had come to seek and save the lost; or that it was the sick who need a doctor, not the well. It is no wonder then that Jesus and his mission yielded division. He poured forth the love of God upon a weary and miserable, yet pitiable world. Yet the religious leaders of his day saw no sense in pitying it. They did not know how to interpret the present time. Rather than focusing on the mission of God they focused on differences, how they were right—they just knew it—when this Jesus guy was so wrong. He offered sacraments to the forlorn people; whereas they maintained there were no such things, only ordinances. Division resulted, sure! But the religious leaders of Jesus’s day allowed themselves to become distracted by the division and therefore could not interpret the present time. As it were, they argued about the weather instead. The mission of Christ will yield division, no question. We should expect it from such a radical mission, certainly. But above this distraction God sent his only Son to reconcile a fallen universe to himself. This is our ultimate mission statement. This is the business of the one holy catholic and apostolic Church. Our ultimate goal then is a sort of unified whole, not division. Nevertheless, much division has, does, and will continue to happen along the way—in society, between faiths, among the Christian faith, within the Episcopal Church, in our parish, even in our individual families. Do not become distracted by it! Keep your eye on the goal: spread the Good News to the ends of the earth. Then you will not be hypocrites. Then you will be able to interpret both the weather and the present time. The following is my first funeral homily, to be given tomorrow for a certain man named Robert. It will follow a eulogy given by another area minister who served as Robert’s hospice chaplain. Thus it focuses almost exclusively on the idea of general resurrection, and is relatively short. Feel free to offer feedback. This is a remarkable statement. Jesus lived and breathed and walked the earth as a human being. So in this sense we know a lot about him. He had to eat and drink. He worked by the sweat of his brow—as we all must since Eden. He also slept. As a child he grew in wisdom and stature: he made the same mistakes in third grade math class that his friends made; older kids could run faster than he; other carpenters could produce a better product. From things written about him, we know that he was an excellent teacher, that he had little tolerance for religious hypocrisy, and that he mentored an intimate group of friends who later began a religion in his name. He was born, lived a full human life, and died—as we all will. We know Jesus. But, we must admit, our knowledge is limited. To some extent the same could be said for any person, really. What does it mean to know a neighbor? a friend? a relative—Mom, Dad, a sibling? or a spouse? In each case we can say that we know so-and-so to a degree, maybe even to a great degree. But in the end our knowledge of a person is limited, finite. To go a step farther, does anyone know even himself fully? How common it is for us to do something and later forget or regret it! Then we catch ourselves saying words all too familiar: “I don’t know what I was thinking!” or “I can’t believe I did that!” or something to that effect. Indeed, our knowledge even of ourselves is limited. But in the case of Jesus, of God incarnate, our knowledge of him must be limited to almost nothing. We know Jesus as he existed within our world of time and space, and we therefore understand a few time- and space-related characteristics about him. He loved. He wept. He taught. And so on. Yet Jesus as God is not bound to our world at all. He exists eternally and infinitely beyond all that we are able to comprehend. We are therefore limited in our understanding of him. Extremely limited! How then can we even begin to know Jesus? The most knowledgeable theologian in the church’s history, or the most holy of all saints, hasn’t so much as scratched the surface! Yet to his disciples, to us who call ourselves Christians, Jesus says right here that we know him. Our knowledge doesn’t even scratch the surface; mathematically speaking it amounts to zero. But it is enough. It is enough that we know Christ. It is enough that Robert knew Christ. It is enough because it is about relationship. We are his and he is ours. He was the first to be raised from the dead and he will lead all of us in that same way, to his Father’s house, where there are many dwelling places. Having grown up in California, I love the outdoors. It helped that I lived in a relatively rural area. My family, as mentioned elsewhere on this blog, had a small avocado orchard. Small, yes, relatively, but for a boy it was a world to explore. “You’re not allowed to pick avocados from the tree,” Dad warned. Fair enough. That meant all the fallen avocados were fair game. And games we had, my brother and I, and often several neighbor friends. When an avocado did fall, which happened often, it was a matter of a day or two before the unique chemistry of avocado-on-ground began to break the thing down, to form a sort of natural guacamole, albeit much more stinky. At certain times of the year then a boy, or a group of boys, might find any number of worthy prospects on the ground, breaking down, softening, ripening, gaining stink factor, just waiting to be picked up and thrown at another, perhaps unsuspecting, boy. Or, if no other neighborhood boys could come over for yet another guacamole stink battle, the rotting avocados always made wonderful substitutes for baseballs, as my brother Andy discovered at something like eight years old. The awesome factor came into play here, for an avocado that had rotted enough would explode on impact, generally resulting in brownish green mush landing stinkily on the batter; but the pitcher would have to watch out for the pit, golf-ball sized, escaping from the odorous explosion. When the game was over, or the battle, cleanliness was only a short swim away. Dad made many a muttering complaint about the pool filter gumming up. But we weren’t really sure what he was getting at. When the orchard routine felt, well, routine, hikes on the local hillside began only a short walk away, at the end of the street. Hiking here often we more than likely transgressed property lines, in hindsight, but we boys knew no such lines, and the owners of the properties transgressed apparently didn’t care, for we hiked freely–making trails; hacking manzanita, the local groundcover, to pieces; then later, home again to pick cactus needles out of arms, legs, and butts–for years without so much as a raised eyebrow from a neighbor. Except for the grumpy guy that lived in that glass house at the top of the hill. He was probably from Texas, now that I think about it. But we learned this about him, that he was grumpy–I actually learned this the hard way, another post for another day–and thus avoided his part of the hill thereafter. At any rate, during those fun boyhood excursions many a scorpion we saw, many a fossil we unearthed, many a lizard we tried to shoot with the neighbor’s pellet gun. Driver’s licenses soon expanded this love of the outdoors and their exploration. Now I could go to the local mountains on any given day for a hike and a swim and some cliff jumping in the local punchbowls of Santa Paula Creek. Many miles of southern California coastline became readily accessible too within an hour of home, from south of Malibu to north of Santa Barbara. All was free too, except for the price of gas to get me and whatever friends I happened to gather for the day there. Snow skiing could be enjoyed a fairly short distance away too, maybe an hour and a half if the traffic permitted. And when I had more time, say a week, the Sierras offered an incredible playground for backpacking, camping, mountain biking, rafting, mountaineering, and better snow skiing than anywhere in soCal. Again, except for lift tickets, these places and activities could be enjoyed free. There are large amounts of public land in California. Compare this to Texas, the state in which I have resided for most of the last ten years. There is some public land here, sure. Big Bend National Park is reportedly beautiful, a great place to backpack and camp year round. There are also a number of excellent state parks, also public lands. But, unlike a lot of the public lands in California, these cost money to enjoy. Where are the parking pull-outs on the sides of highways, entrance points to unmarked trails that can take you into the heart of wildernesses? To my knowledge, these don’t exist in Texas. Yet they are widespread in California, like the free campground on top of Pine Mountain, one of the highest peaks in Ventura County at 7800′, offering an unbelievable view to the west of the Channel Islands, one of the most stunning views I’ve seen in my forty-five years of life; or like the many nameless trails along Highway 1 between San Luis Obispo and Monterey that lead to solitary beaches. All free! But it gets worse. Drive along the highways and byways of the Hill Country, arguably the most scenic part of Texas, and look out your side windows. More often than not you’ll see high wire fences, like eight feet tall, preventing people, livestock, and so on, from transgressing property lines. I used to think this high fencing was to keep deer out. There are a lot of deer in the Hill Country (a higher concentration of white-tail deer here than anywhere else in the country in fact, according to Neil Peart in his book Far and Away–a good read for motorcycle- and rock-and-roll enthusiasts, by the way). There are also a lot of winemakers, like the world-class Becker Vineyards. It makes sense that people like Dr. Becker would want to keep deer out, certainly. So an eight-foot wire fence surrounding vineyards is one thing. But there is far too much eight-foot fence on any given highway in the Texas Hill Country for it to be about keeping deer out in the hope of a good vintage. What gives? I learned the answer to this question last weekend when I visited a ranch with a couple friends deep in the heart of the Hill Country (where the stars at night are indeed big and bright). Beautiful place, by the way, with something like forty acres bordering the Frio River–frio for cold, meaning that it flows at seventy-five degrees in the summer, cold indeed compared to the something like ninety-degree (nearby) Guadalupe River–and refreshing. “It’s not so much to keep deer out as it is to keep deer in,” my lawyer friend answered. And I thought, but I didn’t say it out loud: Really! Fifteen thousand for a deer! That might pay for enough eight-foot wire fence to surround a few more hundred acres. On this trip I also learned the deal with waterways, like the Frio River, which are considered public land in Texas. That is, you can float down a river on an inner tube, for instance, right through the middle of someone’s private property and, as long as you stay in the water, not be considered a trespasser. 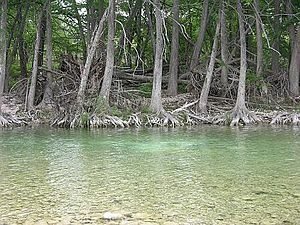 Imagine then, if you will, you and your significant other enveloped in the wonderful combination of Texas heat and relatively chilly water, floating in “toobs” down a cool, clear river lined with limestone, flanked on both sides by parallel eight-foot wire fences. Beautiful! And refreshing! Ah, the elements; and tangible evidence of managing them! The trouble, however, is access to water. If all the access is privately owned–heck, for that matter if all access is owned whether privately or publicly–the owners have the right to charge admission (and they do), for ingress and egress, meaning you might even have to pay a fee to exit the watercourse after paying someone else to enter it. In the end I’ve decided I still don’t get it. I don’t really get the way Texas and Texans deal with public lands. That’s my point. But who am I to say anything about it? I wasn’t born here after all. I was born in California, along with a whole bunch of other tree huggers. Jeez! Ask most people who know me well and they will tell you that I have a lot of energy. My wife likes to say that I don’t know what to do with down time. I tend to say that I like to redeem the time. When I was a teacher full time, before seminary, my excessive energy took on different shapes. First, when I was in the classroom teaching there was no time wasted. I wasn’t hired to be a babysitter, despite some people’s understanding of secondary education. Second, when I wasn’t teaching I was working to get everything else done that had to get done before tomorrow–prepping a lesson, grading assignments, planning and writing my next test or quiz. In this way I was able by and large to complete my day sometime between 4pm and 5pm, then to go on to the next activity. This meant, third, a second or third job. Teaching is no top bread winner as far as jobs go. So, for instance, I would take on several music students and serve as a church organist to help make ends meet. If there was any time left over–if I could somehow find more time–then I’d do something fun, for myself, like sing with the Texas Bach Choir or the San Antonio Mastersingers, or take a class. Efficiency was necessary; and so I learned to be quite efficient, to redeem the time. Down time, I admit–yes, dear–made me nervous. All that to say that now, in parish ministry, I’ve been experiencing some down time. And, yes, it makes me a little nervous. I want to fill my days with activity. And I do: there is no shortage of activity to be found–a sermon to write, a class to plan, a shut-in to visit, a service to plan and practice. But there is a casual summer pace to be had if I let myself take it. And what if I do? Will I get accustomed to a slower pace? Will I feel entitled to put off a visit until a time that is more convenient for me, so that like a bucolic poet sprawling leisurely beneath the green warmth of a beech tree’s canopy I can tweak a phrase a little while longer until it sounds a just little better? I should be jumping at such visiting opportunities when down time is apparent. But down time has just the opposite effect on me. It vexes me for at least two reasons. First, whatever it does to me, down time did not make Jesus Christ nervous. So often he was able to address a question or heal an invalid precisely when his attention was somewhere else. He was open to interruptions. This is where down time should lead. But in my case, when I sense down time my tendency is to fill it up with worthwhile pursuits. Then when other worthwhile pursuits surface, perhaps even more worthwhile than the first pursuits, my day, alas, is now too crowded to allow space for them. And this really is the other reason. Down time reminds me that I don’t like interruptions. Jesus allowed interruptions willingly. And he could, because he made time for them. I don’t precisely because of my efficiency: interruptions are inefficient, they don’t redeem the time, I don’t know what to do with them, and they sap my energy. So, reflecting on the month, I’ve found myself somewhat frustrated. Frustrated that I can’t yet fill my days with more non-stop activity (but, fear not, it will come–or at least that’s what everyone around here keeps telling me–when the school year begins); but frustrated too at myself for not being able to handle interruptions–time that feels unproductive to me.